My 40’s were the most amazing decade; I had a second child, I found my calling in my work and I really started to step into my power. Little did I know that these are the rewards of perimenopause (except the baby, that was just good fortune). Aging is not popular in our society and most especially aging women and because nobody talks about this stuff, most women aren’t even aware that they’re in perimenopause. Here are 20 ways that you know perimenopause is working its magic. 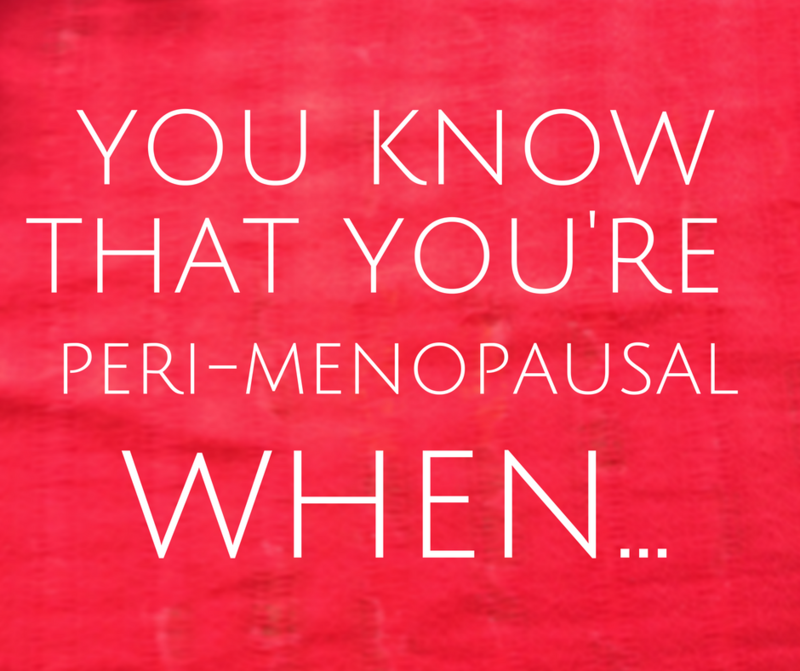 No Replies to "You know you're peri-menopausal when..."